What’s good? 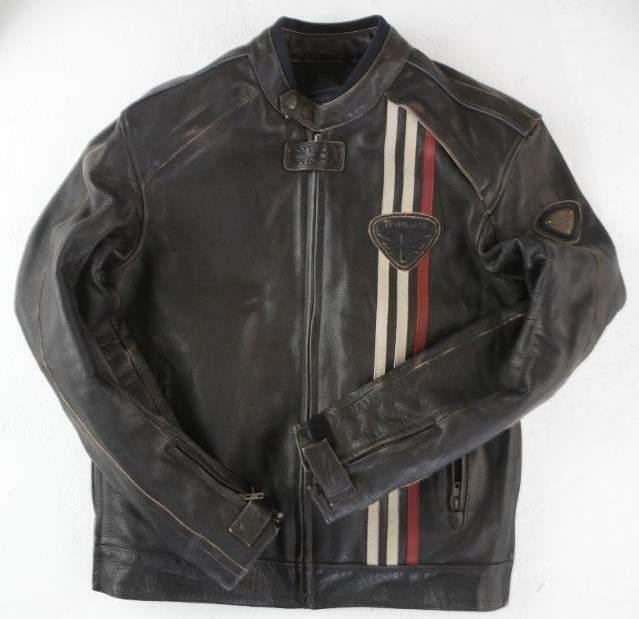 I love this leather jacket above all others because it looks great on and off the bike. Arm protection on leather jackets tends to make the arms look baggy on most jackets but the Raven has a superb fit and still looks great down the pub. The leather is soft and supple to the touch and after everyday use has a great colour. It has three vents, enough to keep fresh on a hot day, and a plush inner quilt (which has two pockets) for the chilly ones. It has two zipped outer pockets and three inner ones, which also makes it practical. It’s an all-round quality product. What’s not? The only thing I can pick it up on is the lack of a back protector, as for the price I’d expect it to come with one.